Universal Logistics Holdings Inc. is expanding its intermodal business, announcing Aug. 10 it is acquiring Compton, Calif.-based Southern Counties Express Inc. for $65 million. Southern Counties provides full-service harbor drayage, transloading, warehousing and project cargo services to industries that include retail, health and fitness equipment, and electronics. For 25 years, Southern Counties has focused much of its business at the ports of Los Angeles and Long Beach, No. 1 and 2 , respectively, in the United States based on container volume. According to the Port of Los Angeles, Southern Counties was a top-ranked carrier at that facility in 2017 based on the number of moves. The agreement calls for Warren, Mich.-based Universal Logistics to operate Southern Counties as part of Universal’s intermodal division, which in its second-quarter financial report made public Aug. 9 showed a nearly 42% revenue increase in 2018 compared with the same period in 2017. On an earnings call with reporters and financial analysts, Universal Logistics pointed to the 12% increase in loads and a 27.4% jump in revenue per load as key reasons why it is doing well financially. While Universal Logistics is highlighting the port activities as the major factor for the purchase, Southern Counties does operate a truckload division and says it has relationships with 175 owner-operators. For the year ending Dec. 31, 2017, Southern Counties reported total operating revenues of $54.4 million. This is the second acquisition by Universal in 2018. In February, it purchased Fore Transportation Inc. for $34.9 million. Based in Harvey, Ill., south of Chicago, Fore provides intermodal logistics solutions as well as local and regional drayage services. Included in the purchase was a 28-acre facility next to a major interstate and adjacent to a Canadian National Railroad intermodal terminal. Universal Logistics ranks No. 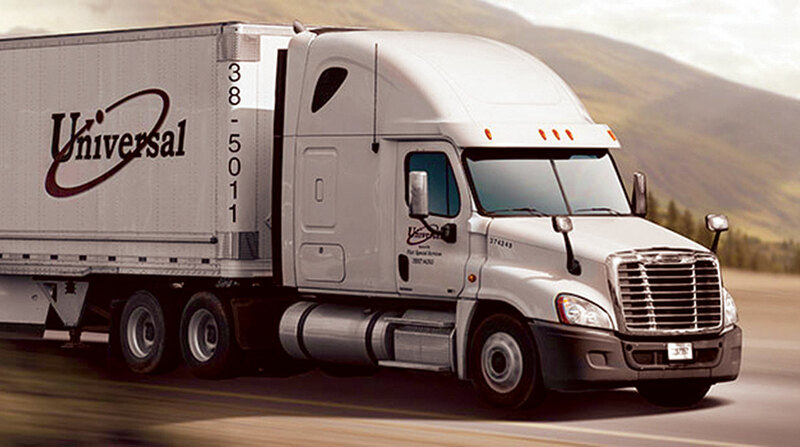 31 on the Transport Topics largest 100 for-hire carriers in North America.